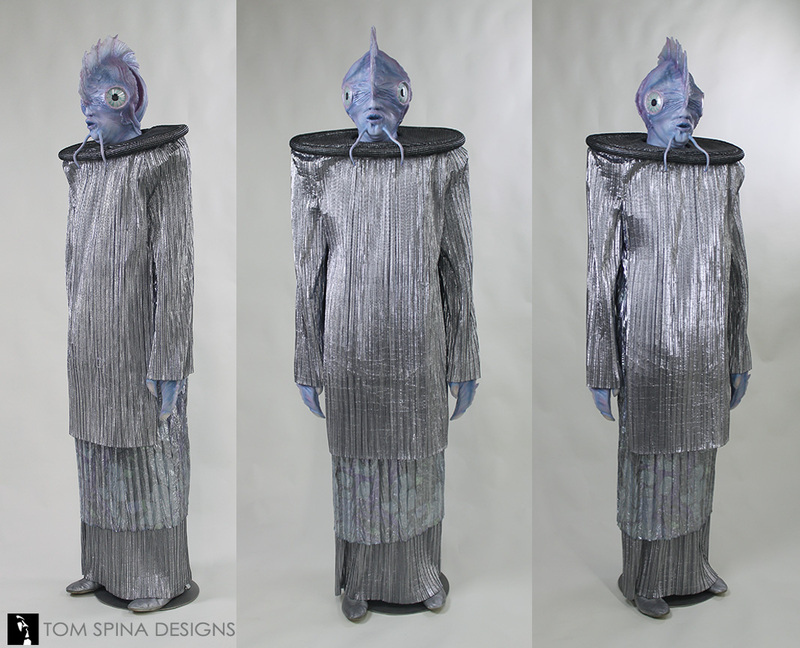 This amazing (and very tall!) 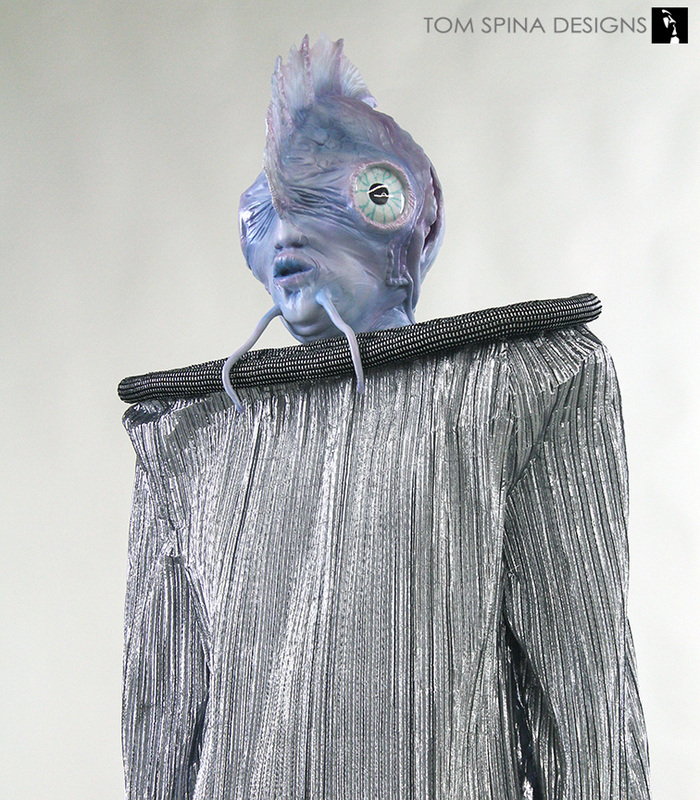 Star Trek Antedian Costume was worn by none other than Mick Fleetwood from Fleetwood Mac! 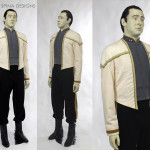 The 6′ 5″ tall drummer was invited to play an Antedian Dignitary in the Star Trek: The Next Generation episode, “Manhunt” in 1989. 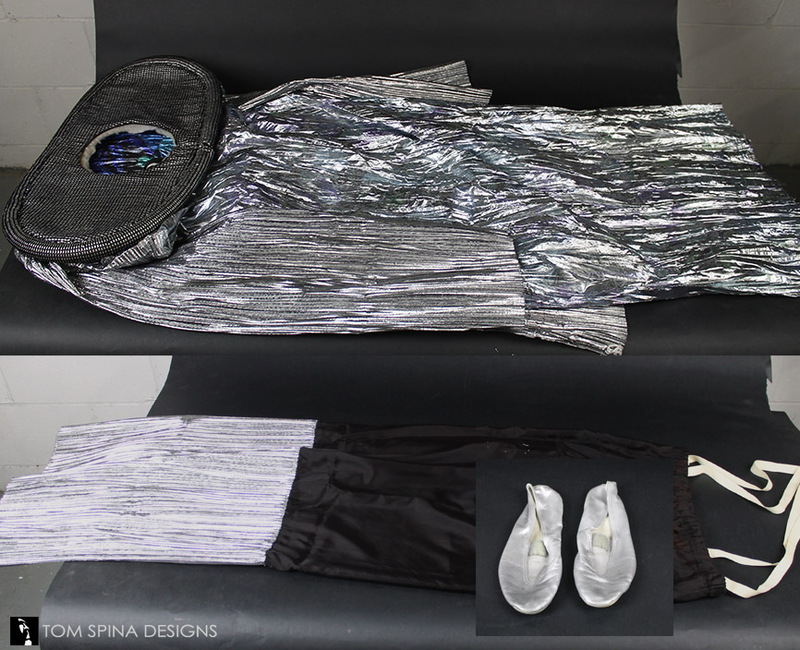 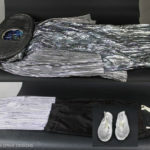 The costume was made from layers of think shimmery and reflective material and one of our favorite clients brought it to us to bring to life! 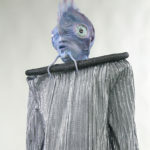 He thought the funky blue alien head and hands of the character made this an ideal piece to turn into a life-sized statue using the screen worn costume. 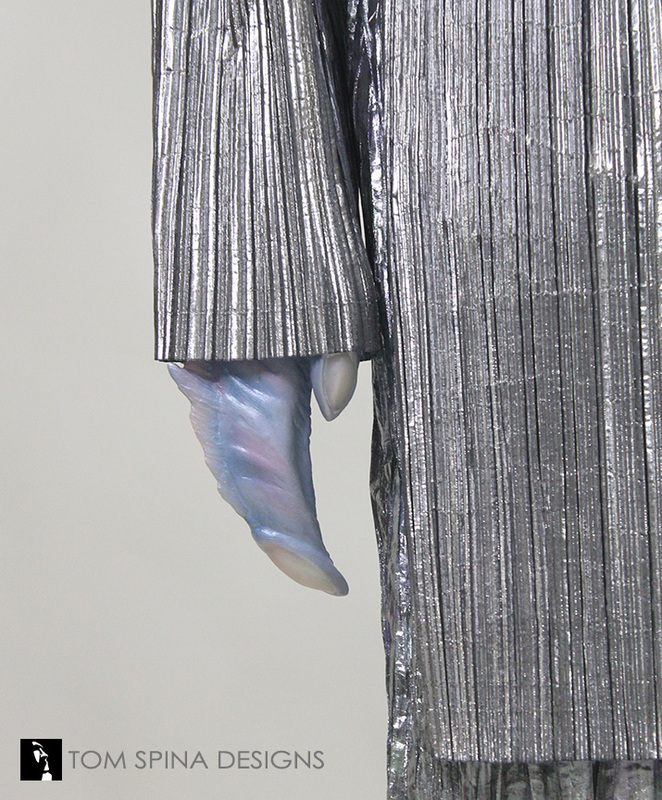 Sculptor Steven Richter sculpted the hands of the alien first. 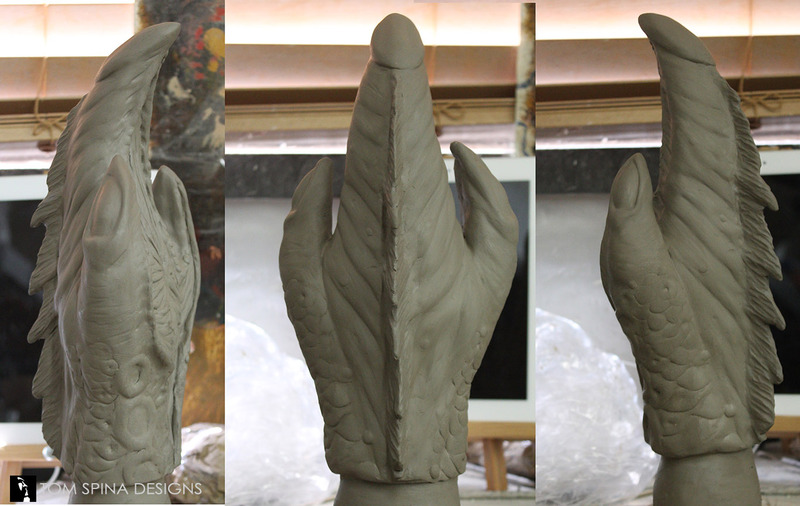 Technically, that would be “hand” since it seems production only made one ambidextrous sculpt to stand in as both left and right fish hand. 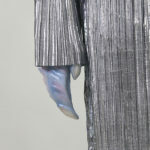 We did the same and cast those in non-opaque resin to match the translucency of the fingernails seen in the show’s hands. 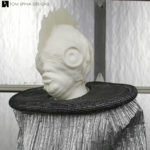 Working from photos from behind the scenes and as many screenshots as we could get, we then sculpted the head of the Antedian alien. 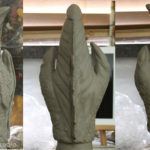 Sculpted in WED clay, we carefully scaled everything to be sure the final piece would match the size of the original makeup/mask used in the television production. 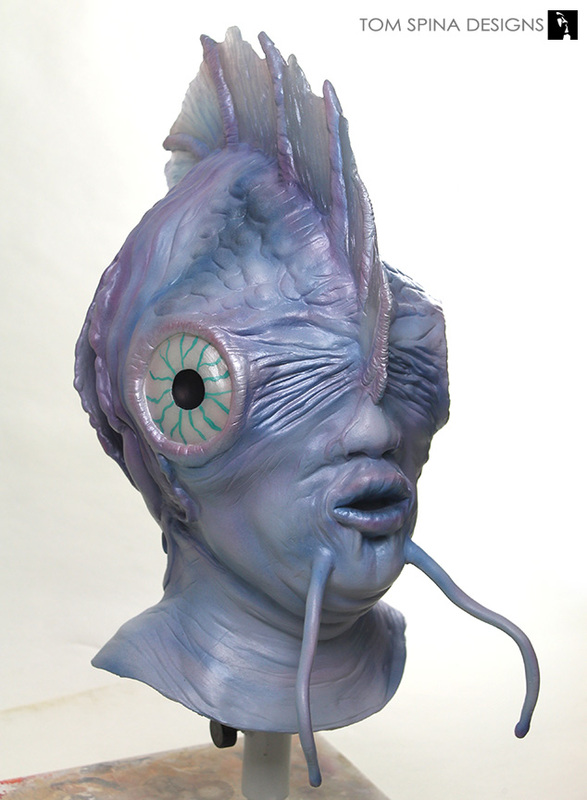 The head was molded with Smooth-On silicones for reproduction in plastic resin. 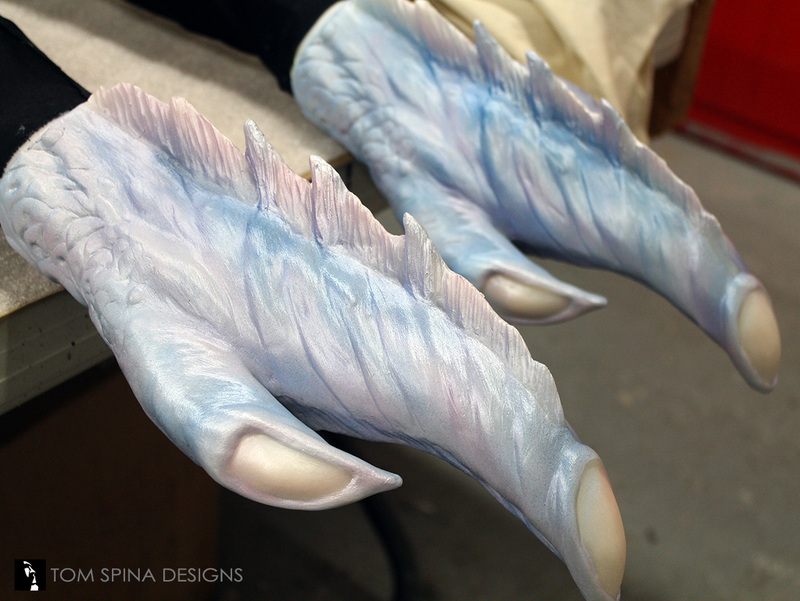 Again, we used a translucent mix, especially for the central fin of the head, to allow a fair amount of light to shine through it. 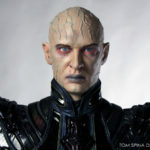 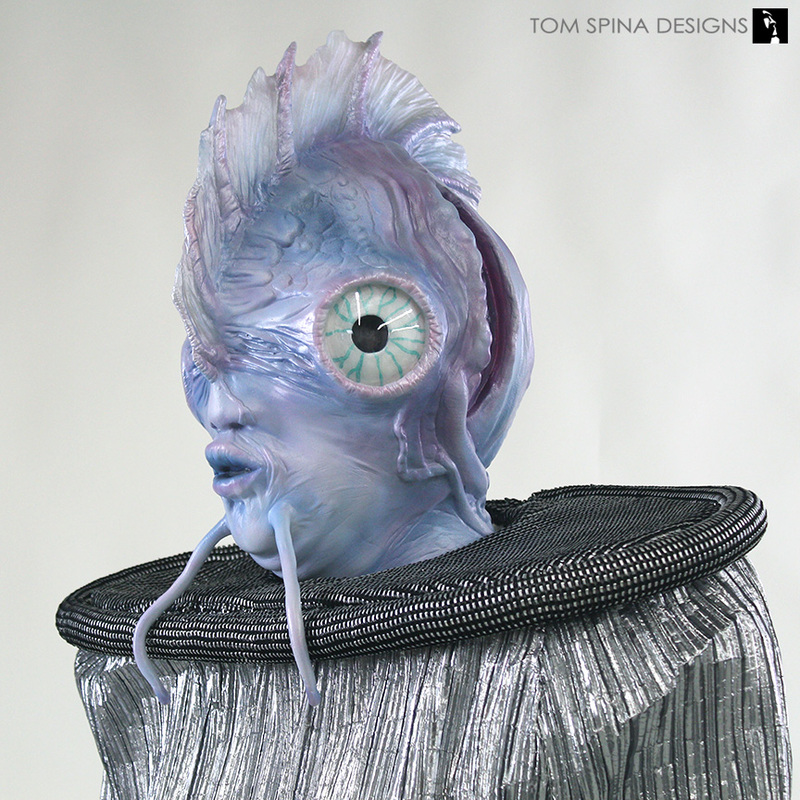 Tom painted the head and hands with many layers of airbrush paint to match the style used on the show. 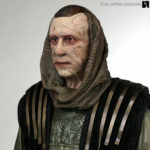 Melissa Ocampo painted the eyes, matching the crude green veining seen on the original masks. 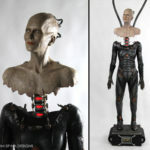 The pieces were then mounted to a customized tall mannequin. The fiberglass form was extended to match Mick Fleetwood’s towering height. 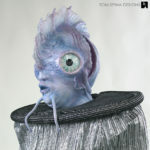 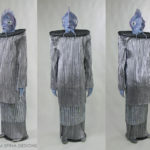 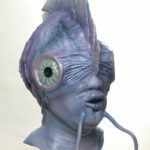 The finished result is quite the imposing fish-face and really, the only way to display this crazy 80’s sci-fi costume! 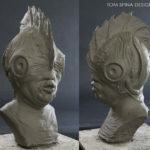 Be sure to check out the video below to see a time lapse of the sculpting process of this project! 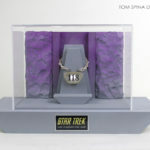 And be sure to check out some of our other Star Trek restoration, display and sculpture projects! 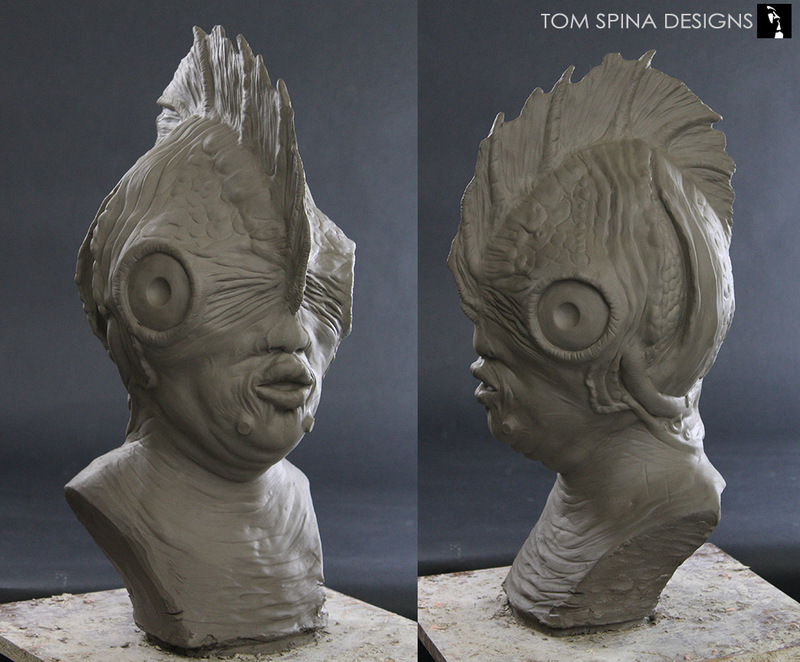 Look behind the scenes and watch how we sculpted this alien's head!